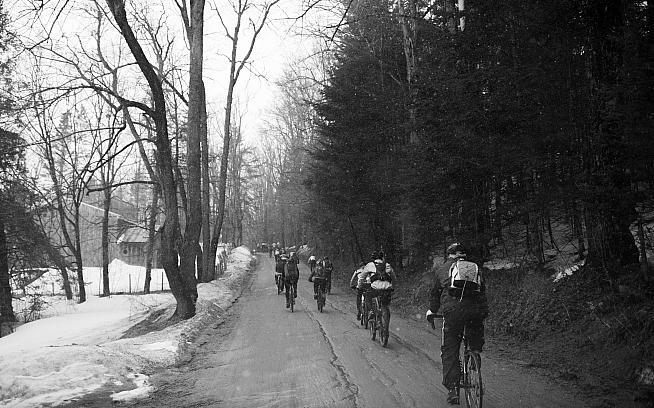 April 11, we're on our way to East Burke, Vermont and it's definitely still winter outside. It's the second time I have entered Rasputitsa with my friends and it's a race you just have to sign up for and stick to the plan no matter how much snow you see outside. If you start checking weather reports you might go nuts. But the truth is Rasputitsa is always at the turning point of the year where the dirt roads aren't icy anymore (except for Cyberia well get to that later). 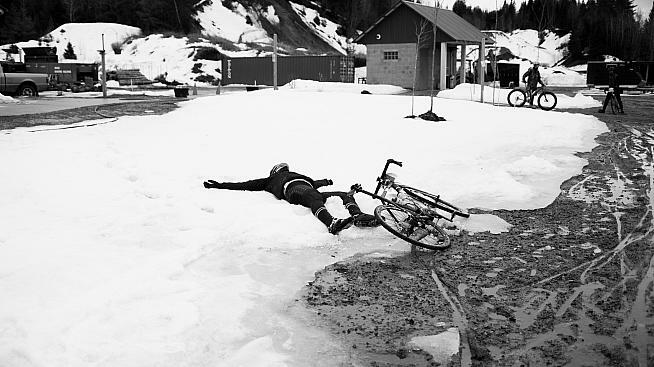 It's the perfect time of the year to get your cyclo-cross bike out for a spin. At the race start you can feel the excitement of the peloton -- at least twice as big as last year. After a few KMs on pavement for the neutral start its on! From there it's pretty much all uphill dirt road climbs. 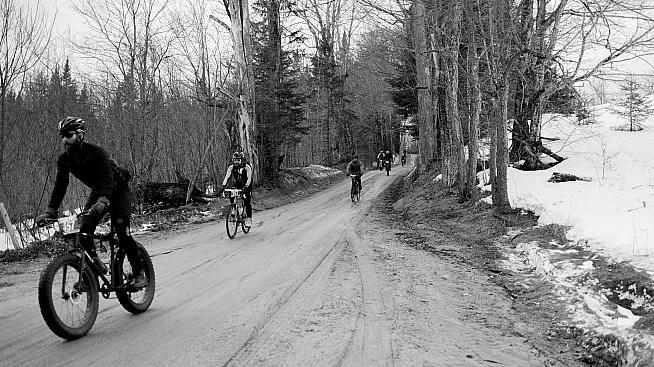 In the first few descents Fat Bikes passed us riding down the muddy hills at supersonic speed. It felt like a couple of tanks passed us on the way down. At the first feed zone we are given pure Untapped Maple Syrup packets and trust me it's by far the best boost you can get on such a big ride. We had our first experience with maple syrup shots last year in Cyberia with the now dead Yeti (R.I.P.). After climbing back up to the top of beautiful Vermont for the third time overlooking Burke ski resort we get to that Cyberia segment. 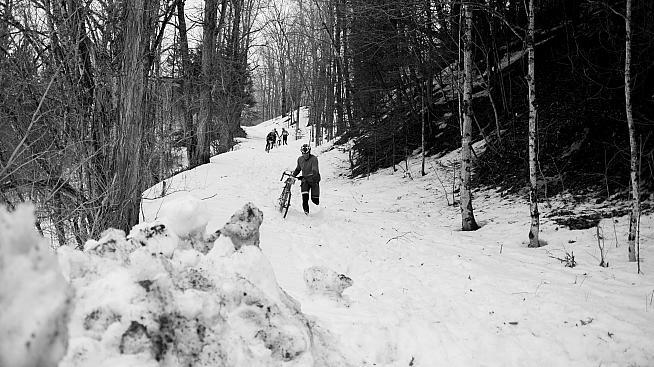 Cyberia (cy for cycling + siberia) is the category 5 segment where you will spend any energy you have left. The thing about Cyberia is that it's kept secret until the day of the race so you never know what to expect. This year it basically meant a one hour walk in the snow for us (I'm not holding it against the race organisers). At the end of the segment a horde of dancing unicorns were there to boost the morale of the participants. What I will remember about the 2015 Rasputitsa is that me and my friends finished together and it was definitely one of the hardest thing I have done.